According to a report by Mark Feinsand posted on MLB.com, the Yankees are one of a few teams that are ramping up efforts to land a top starting pitcher. 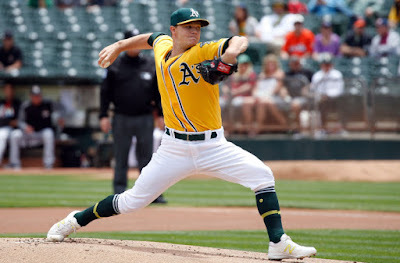 While the Yankees have been linked to a lot of the pitchers on the market, their focusseems to be mostly on Oakland pitcher Sonny Gray. 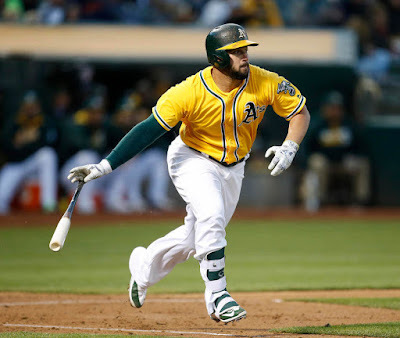 Feinsand reported today that the Yankees and the A’s are making progress on a deal that could include first baseman Yonder Alonso as well as Gray. The Yankees and the A’s have been in discussions for weeks about a trade centered on Gray and the A’s have been scouting the Yankees minor league affiliates in Trenton and Charleston. The Yankees reluctance to include any of their top prospects at the higher levels of their system has likely complicated their efforts to trade for a top line starter. Jon Paul Morosi reported that the A’s are focused on acquiring a young center field prospect and that Yankees’ prospect Estevan Florial was an attractive piece to them. Jorge Mateo is another name that has been floated recently as someone who could be included in a deal with Oakland. Florial currently ranks as the Yankees’ number three overall prospect, while Mateo ranks number eight overall. We also made the case for why Gray is a perfect fit for Pinstripes in a recent piece here. While the exact package the Yankees are putting together is unclear, it seems these teams have more momentum towards a deal now and a trade could happen at any time. We have covered the Yankees' interest in Gray and Alonso a lot here on the Blog so stay tuned. If a deal goes down, we'll have all the details for you here. Hope the deal gets done!